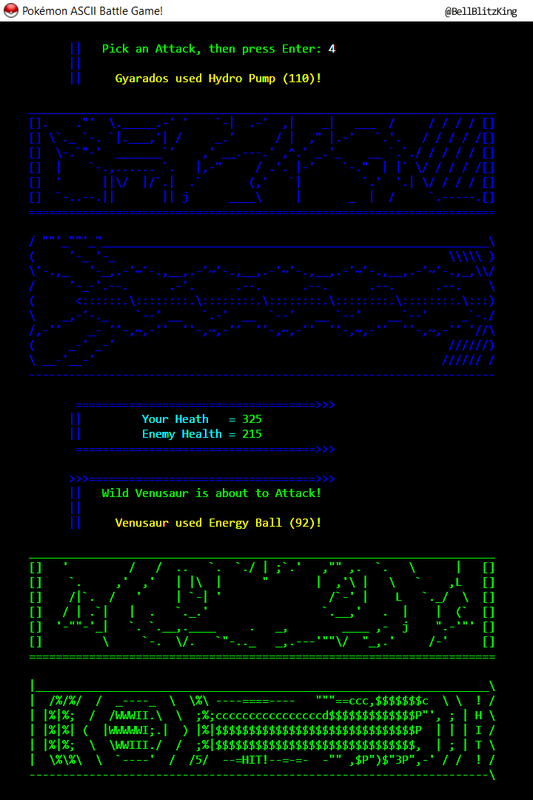 Relive the sights and sounds of First-gen Pokémon in this classic text-based Battle Game! 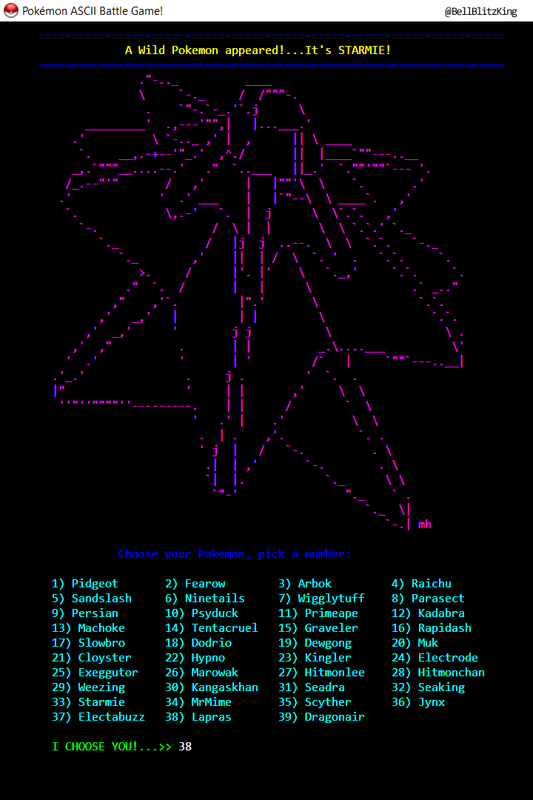 All 151 Pokémon to play, with four Ranks to master! 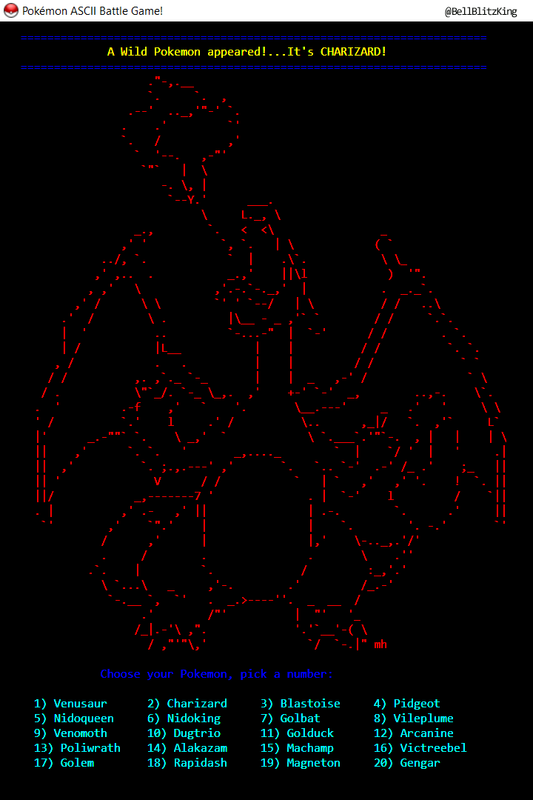 Use Pikachu, Charizard, and Eevee all the way up to rare legendaries: Zapdos, Mew and Mewtwo---all in full HD text-art glory. Fight using over 300 attacks in 1-on-1 battles with full sounds effects for all attacks---Fire, Water, Electric, Psychic + more types to unlock. Over 300 Sound Effects---Gen I to Gen V cries and attack move sound effects! 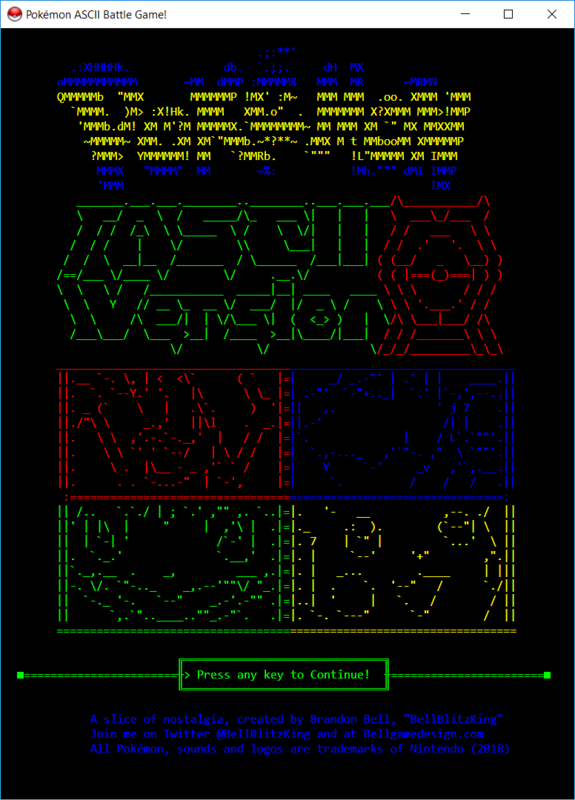 Pokémon ASCII Art Collection, an exclusive master-set of all Pokémon ascii-art, up to Gen V.
PROMO VIDEO: PokeRap ASCII Version on YouTube! 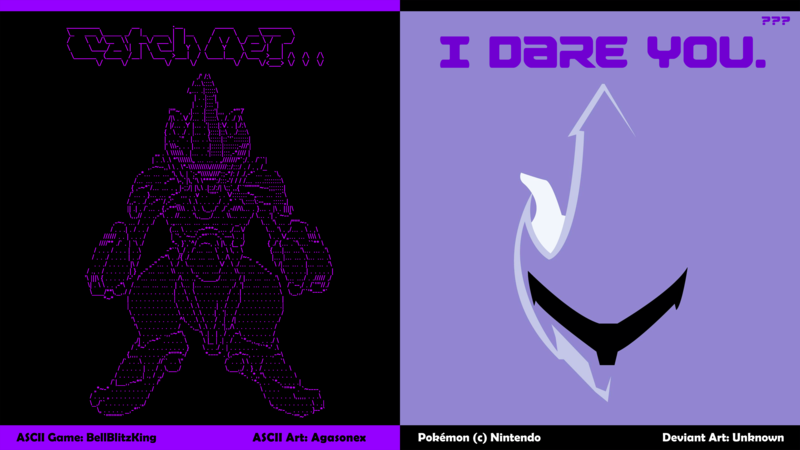 Over 400 Pokemon in full HD text-art glory plus exclusives from MapleRose, the PokeWalls designer! 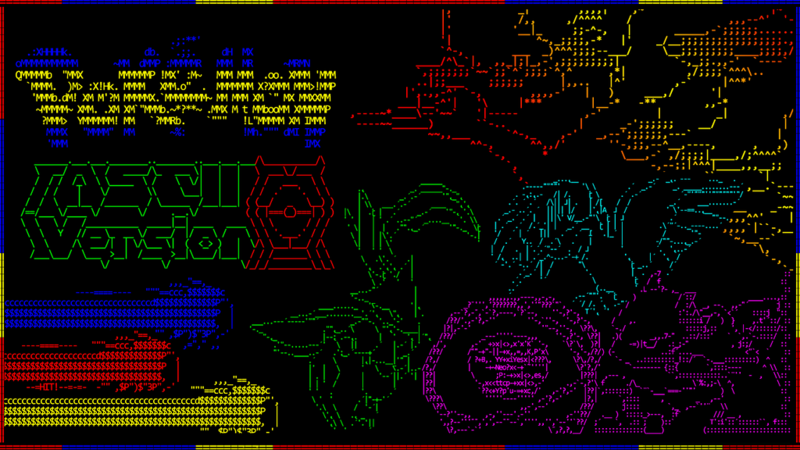 Includes text-artists from DeviantArt, Steam, Gamespot, ASCII Art Online, Train.Board8, Gamefaqs and more. 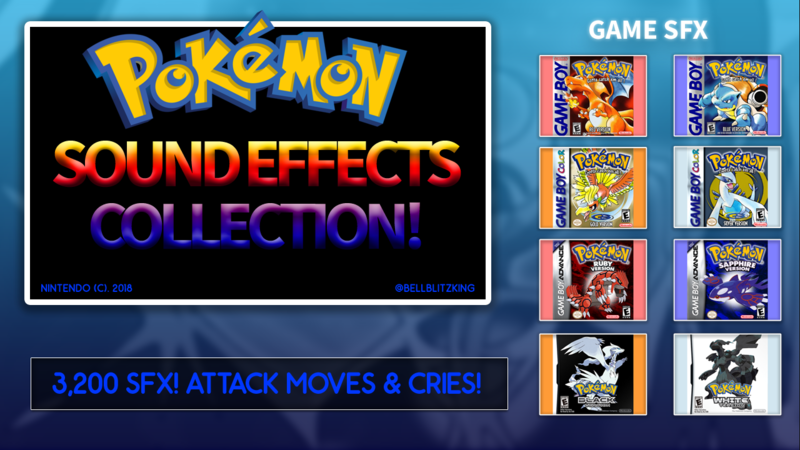 PROMO VIDEO: Pokemon Sound Effects Collection Released! 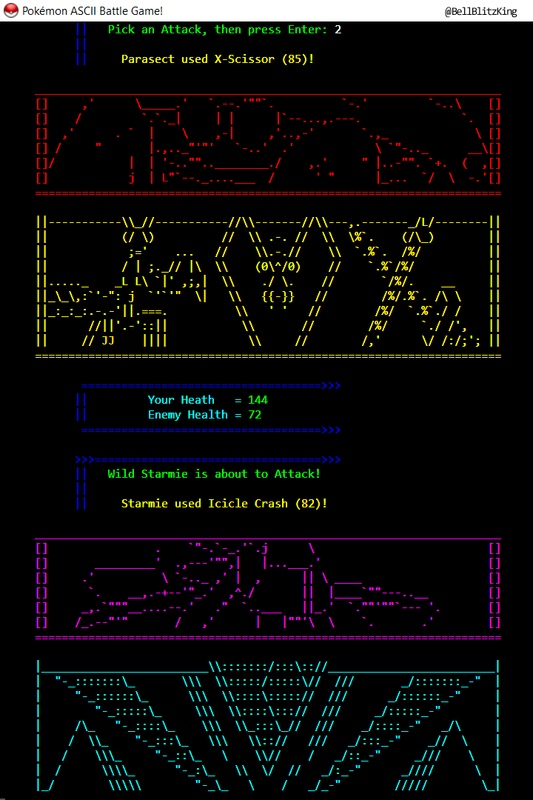 Attack Sounds Effects from: Red & Blue, Gold & Silver, Ruby & Saphire and Black & White! SFX in WAV & MP3 form: 3200 sounds in high quality from Gameboy, Advance and DS games! 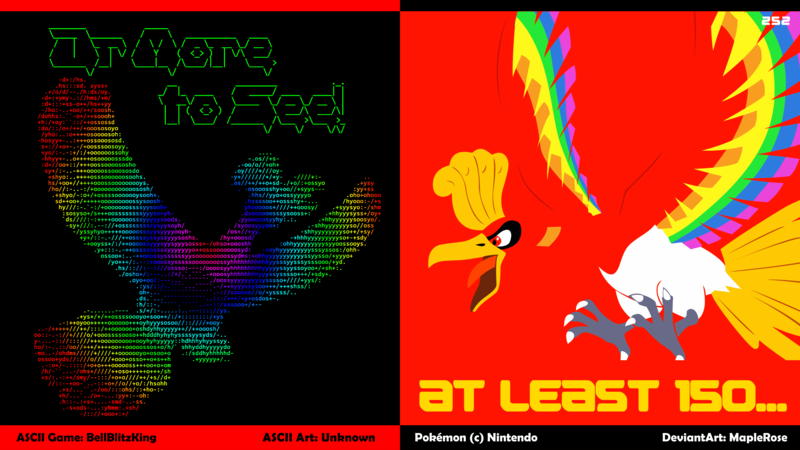 Plus Bonus Pokemon X&Y Cries from Bulbasaur up to Zygarde!